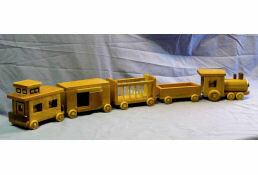 Chickory Wood Products offers unique and finely crafted, handmade wooden toys including wooden trucks, trains, airplanes, and guns. 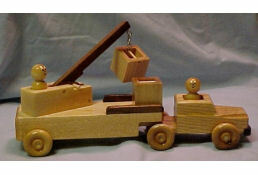 All toys are made at our shop in Mequon, Wisconsin. 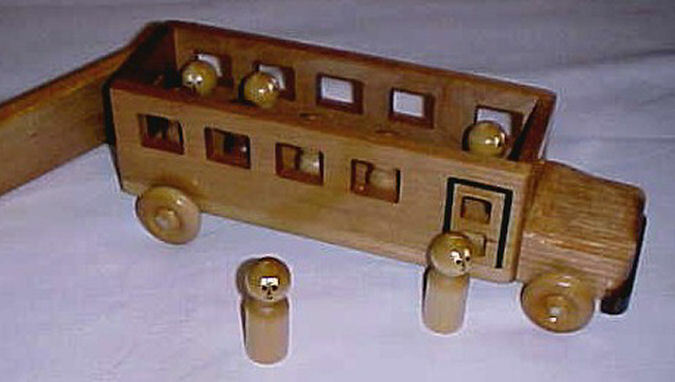 We started by making wooden toys for our own children and soon realized there was a demand for quality, wooden toys. 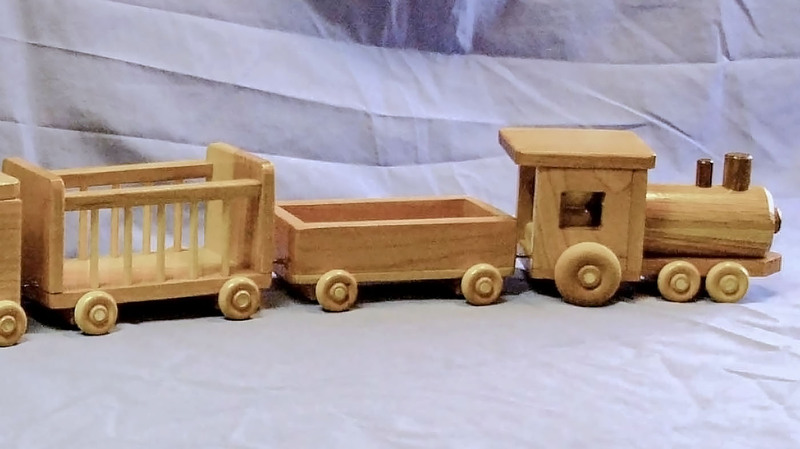 Our wooden toy trucks, boats, plans and trains have become highly prized as both toys and collectable items, as we make a limited number each year. 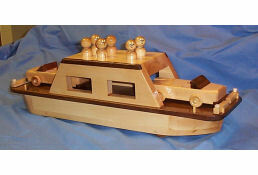 Recently, we have begun selling these toys for Corporate promotions. 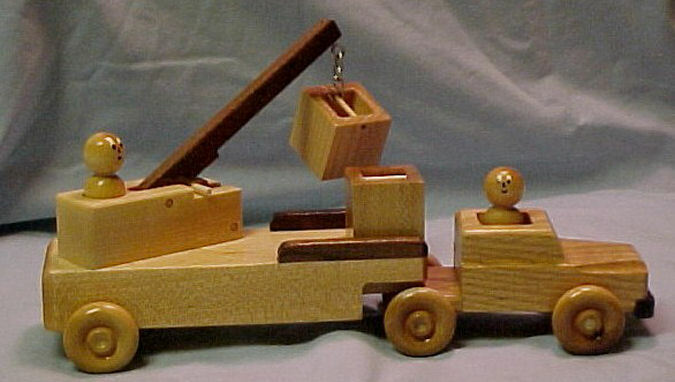 We use many different types of hardwood in the making of our toys - Cherry, Black Walnut, Maple, Oak, Hickory, and others. We do not use stain to create different colors, but rather different types of wood. 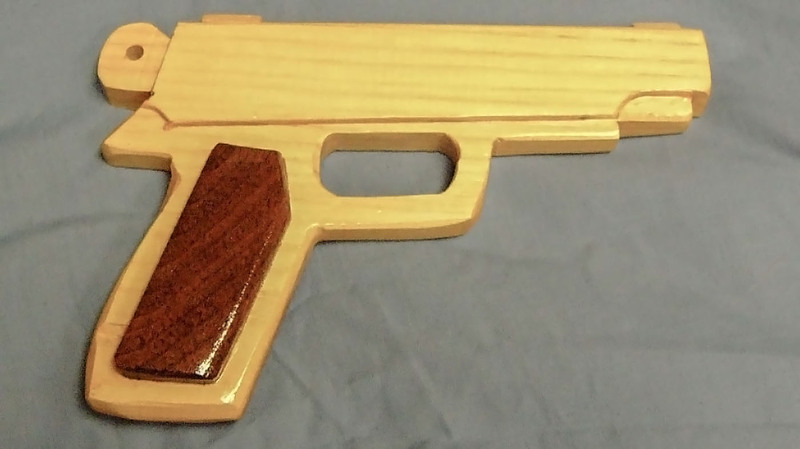 All our toys are completely finished and varnished. 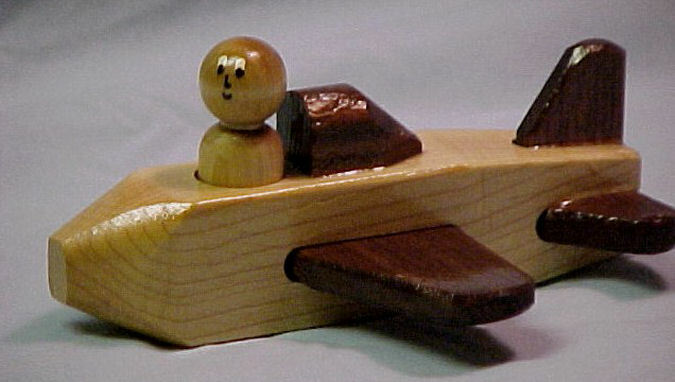 Many have little people or removable parts, while others have parts that swivel, raise and lower, or slide. 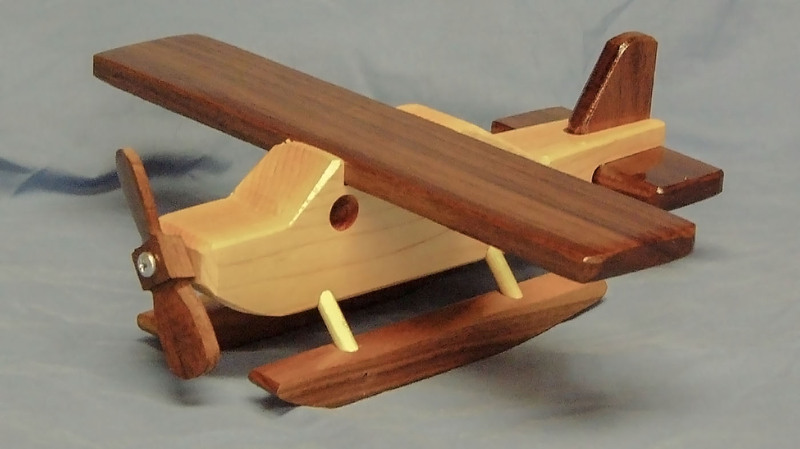 Because only hardwoods are used in the construction of our toys, they are very durable, and will be around for generations of children to play with. 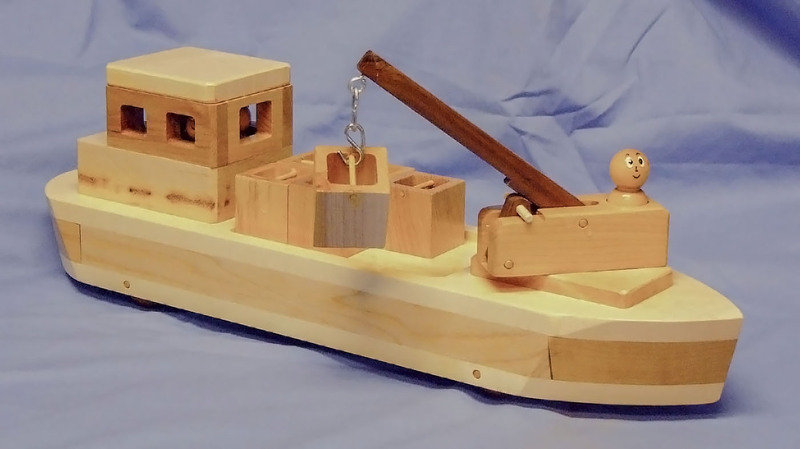 All toys are individually built and made from our own designs. 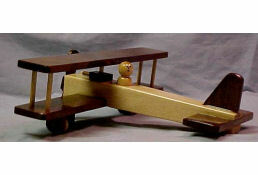 Our wooden toys are only available at a few selected craft shows, word-of-mouth or though our Web site.